Dr. Maggie Acker-Buck attended the University of New Hampshire, where she received a Bachelor of Science degree in Pre-Veterinary Medicine. Maggie was also a member National Association of Collegiate Honor Students and the UNH Alpine Ski Team. 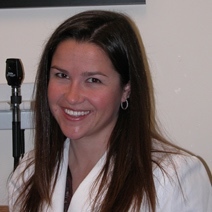 Maggie went to Oregon State University, and she received her Doctorate in Veterinary Medicine in 2010. Dr. Maggie Acker-Buck is currently a Certified Canine Rehabilitation Therapist (CCRT) at Sun Valley Animal Center’s new canine physical therapy center. She has a special interest in orthopedics and has attended the Total Hip Course, the Synthes TPLO course, Advanced Techniques in Spinal Disorders, the Masters Course on Advanced Osteotomy, and Principles of Fracture Management. She has also taken courses on the TTA, PAUL, ALPS, and the Tightrope. Dr. Maggie Acker-Buck lives in Sun Valley with her husband, Riley, her son, Wyatt, and their dogs.